•Brand new by Scott Drake. •Beautifully machined from 6061-T6 billet aluminum. •Each set comes with both carbon fiber and inferno orange inserts that you can switch out for your favorite look! •Fits all 2010-2014 Chevrolet Camaro models. 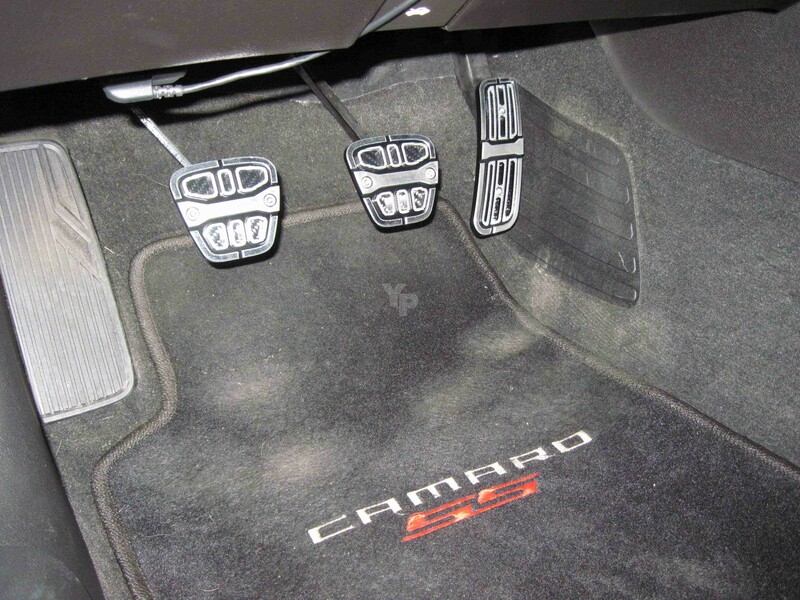 Automatic transmissions will not use the clutch pedal. •Includes stainless steel mounting hardware. •Includes accelerator, brake and clutch pedals.